Motorola HLN6602A Original® Universal Chest Pack protects the radio and provides the freedom from holding it during standby communication mode. 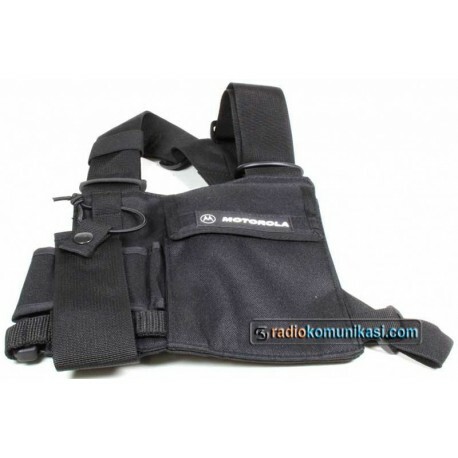 The Universal Chest Pack fits virtually any radio and also has a pen holder and velcro secured pouch. Motorola HLN6602A universal chest pack protects the radio and provides the freedom from holding it during standby communication mode. This lightweight harness is designed for a safe and secure means of carrying portable radios in a variety of applications and environments. Includes a radio holder, pen holder and secured pocket for spare batteries, tools, and other communication devices. Can be comfortably worn on the chest, with adjustable straps to fit most body shapes and heights.